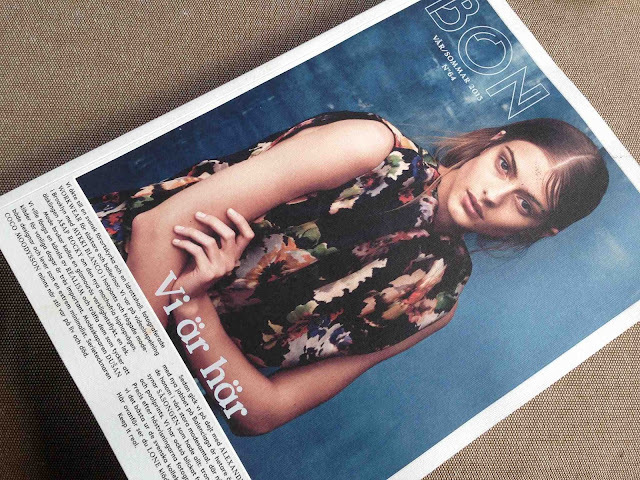 Today, I decided to write an article about the fabulous Spring/Summer 2013 edition of BON, a Swedish fashion and lifestyle magazine that I love. I have been looking at the stunning pictures, read the articles and then done it all over again. It is just such a beauty. 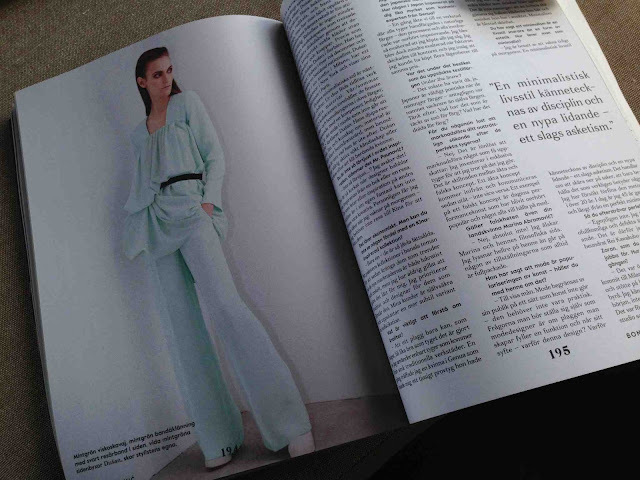 The structure of the cover, the bright but yet pale colors of the print and the creative layout. One of my dear friends recommended me the article located at the page 192 of that edition. Of course, I had to check that article immediately. Yes, before all the other ones. It is an interview with the designer Dusan Paunovic. I read it through and understood straight away what my friend meant in her SMS "Dusan never compromises with quality". I had an earlier discussion with some of my friends about good designers that produce pricey blouses in polyester. How sad! There is no joy in wearing polyester. Period. Dusan Paunovic agrees. He says in the article "fabric is the only thing in fashion you cannot fake". I could not have said it better! 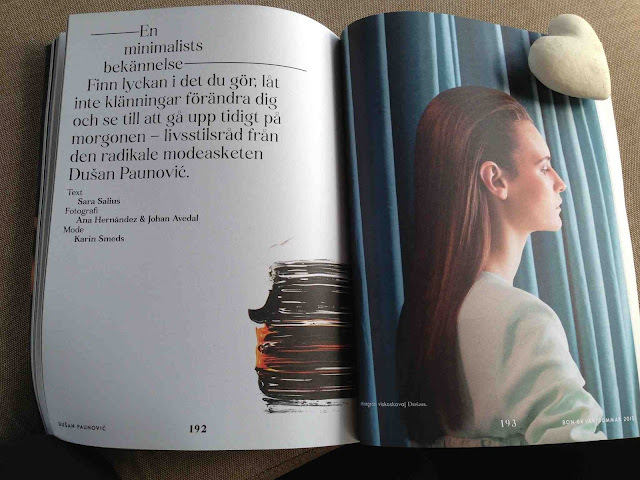 Reading further, he develops his thoughts on minimalism as a lifestyle rather than a form of art. He does not keep more than he really needs and he is obsessed with waking up early in the morning. Rewind. Obsessed and early and morning!!! Is that even possible? I admire people who can win the race against the alarm clock, but to be obsessed with it is a different story. He explains that it is about discipline and an inch of suffering, two things I am really bad at! I am very much into design in all of its forms but a designed lifestyle, I don't know. Maybe, I already have a designed lifestyle? One thing is sure, mine is far from being ascetic. If I analyze my lifestyle, I would say I am a down to earth materialistic spiritualist. I do think that surrounding yourself with beautiful things will have a positive effect on your well being, although I am not obsessed with it. After all, I was born at the edge of the Arctic Circle. I would like to learn to be a bit more organized and to stop fighting with the snooze button every morning. Could you design a lifestyle and be disciplined enough to stick to it? I'm interested in your thoughts!